Chef Sara Bradley of Paducah is the lone Kentuckian competing in this season of Top Chef, located in Kentucky. LOUISVILLE, Ky. (WHAS11) — "Top Chef Kentucky," a chance to showcase the state's great food and attractions to the nation, premieres Thursday night on Bravo. The show spent about 10 weeks filming in places like Louisville, Lexington and Lake Cumberland over the summer, pushing 15 chefs to the limit as they compete for the "Top Chef" title. One competitor, Sara Bradley, has a little bit of an advantage with the local flavors and favorites -- Bradley is a Kentucky native. "I'd like to win it for my state," the Paducah native said. "The biggest shock is that like, ‘wait a second, it's not edited to look a certain way. It really is happening that way." 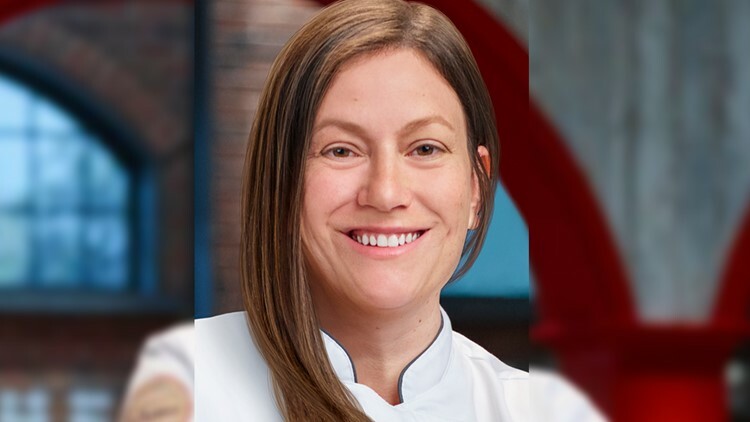 Chef Sara Bradley of Paducah is competing in "Top Chef Kentucky," airing Thursday, December 6. Bradley told GMK’s Juliana Valencia both competing and being on television is a lot harder than viewers may think. "They don't help you do your makeup," Bradley said. "You've got those beautiful people like Padma and Tom and then you're over there sweating because you've been running around in a quick fire." Bradley's favorite part of the competition that she can reveal is meeting and spending time with all of the other chefs. "It was summer camp. We were there for a competition but all of sudden it was the first time in your life where you are surrounded by 14 other people who love and have devoted their life to doing the exact same thing you're doing," Bradley said. Bradley trained in New York and Chicago before coming back home to Paducah and opening up a restaurant, The Freight House, three years ago. "The Freight House is pretty unique, especially for western Kentucky," Bradley said. "We source as much as we can locally. We cook in the seasons." The Freight House is where Sara will be watching the premiere with her friends and family. "It'll be pretty cool. I left my restaurant, and everyone who works for me took care of it. My mother was there, my husband, my father, all my employees. So I am so thankful for them," Bradley said. "I really wanted to share that moment with them." Because she had to keep her appearance on the show a secret, Bradley said she had to lie to everyone while filming the show, telling people she was going to New York to help a friend open a restaurant. Bradley also said opening another restaurant in western Kentucky is a possibility. "Top Chef Kentucky" airs on Bravo Thursday, December 6 at 9 p.m.